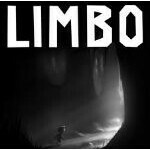 LIMBO is one of the best indie puzzle-platformers to come to consoles recently, and the multi-award winning game is finally making the jump to mobile as well. After selling more than 3 million copies of the game on PlayStation 3, Xbox 360, Steam, and through the Mac App Store, developer Playdead is bringing the game to iOS, and is set to release it on July 3rd for $4.99. That price is an absolute steal, because the game still retails for $9.99 on Steam and $14.99 on the PS3. The game is known for its monochromatic art style, and gruesome deaths (and you will die a lot). It follows an unnamed boy searching for his sister. Playdead says it has worked hard to completely remake the controls for touch devices, and bring support to as many devices as possible. And, on that second front, we can already say it has succeeded, because the game will be compatible with the iPad 2 and higher, the iPad Mini, the newest iPod Touch, iPhone 4S and iPhone 5. There is no trailer specific to the mobile version, but the trailer for the PS3 version should show you what to expect. Because it isn't an Xbox exclusive, so it's up to the developer to choose what platform to build for, and iOS makes far more sense when choosing where to invest development dollars. Kind of suprising its not launching on Android usually all the Indie games like this get on Android first. I hope it comes to Android. I love this game. I've bought it on two different devices already and I would not hesitate to by it on a third.